Cellist Amaryllis Fleming, half-sister of Ian. My Georgetown classmate Lucinda Ebersole discusses the career of Amaryllis Fleming, half-sister of Ian Fleming (Amaryllis's father was the artist Augustus John), and her cameo appearance in her half-brother's work. Financial fraud exhibition in NYC. Today New York's Museum of American Finance opens the exhibition "Scandal! 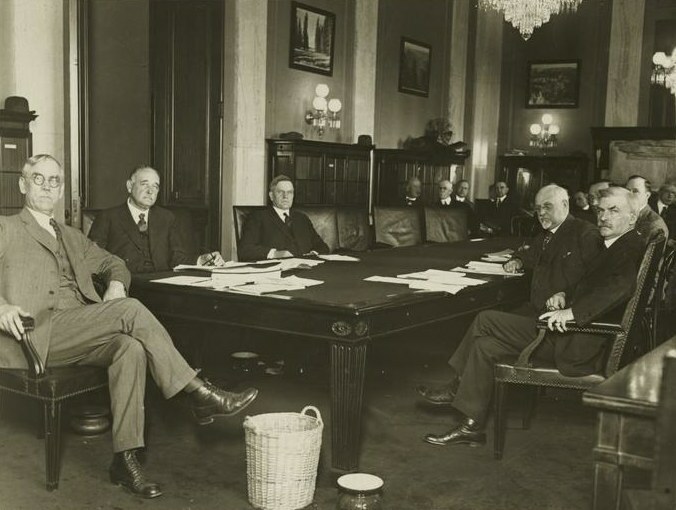 Financial Crime, Chicanery, and Corruption that Rocked America" that traces the history of major financial schemes in the United States (such as the ones involving Charles Ponzi, Bernie Madoff, and Enron). John Rebus creator Ian Rankin turns 50 today (born in Cardenden, Fife, Scotland, in 1960). One of his past occupations? Swineherd. BBC Radio 7 airs an episode of Rankin's The Falls this Saturday; one can usually catch it for a week online after broadcast. New Penguin edition,The Leavenworth Case by Anna Katharine Green. Today Penguin issues a new edition of Anna Katharine Green's The Leavenworth Case, first published in 1878. The Leavenworth Case, notable for its treatment of circumstantial evidence (Green's father was a defense attorney), was an early American bestseller, for it sold more than 1 million copies during Green's lifetime. British prime minister Stanley Baldwin was one fan of her books. Happy birthday, Dorothy Salisbury Davis. MWA Grand Master Dorothy Salisbury Davis (A Gentleman Called, 1958; A Gentle Murderer, 1951; Where the Dark Streets Go, etc.) 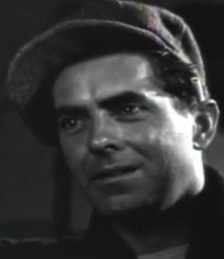 was born today in Chicago in 1916. In her Guest of Honor speech at Malice Domestic VI (repr. in Ten Years of Malice [domestic]), Davis quoted Hilaire Belloc: "It will not matter if my sins are scarlet, if only my books are read." 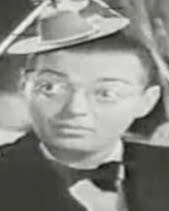 Happy birthday, Victoria Glendinning; Ngaio Marsh. Victoria Glendinning, superb biographer of Edith Sitwell, Vita Sackville-West, Rebecca West, and Leonard Woolf, was born today in Yorkshire in 1937. And Roderick Alleyn creator Dame Edith Ngaio Marsh was born today in Christchurch, New Zealand, in 1895. NYT: One can't be buried alive (phew). Nightmare Alley reissued by NYRB Classics. As The Rap Sheet previously noted, William Lindsay Gresham's noir classic Nightmare Alley (1946) was reissued earlier this month by New York Review of Books Classics. NYRB also has a reading group guide for the book here. This week's Newburyport Literary Festival in Massachusetts honors Mr. Moto creator and Pulitzer Prize winner John P. Marquand (1893–1960); Boston Globe preview here. Joanne Dobson (Agatha nominee for the Emily Dickinson-inspired Quieter Than Sleep) is one of the featured authors. The National Postal Museum has an online exhibition, "Postal Inspectors: The Silent Service," which details the duties of postal inspectors in thwarting a wide variety of crimes, ranging from credit cards stolen from the mail and hazardous materials sent through the mail to an elaborate hoax that involved McGraw-Hill and Howard Hughes (both innocent parties). Go here for a timeline of Postal Inspection Service history, including the establishment of postal forensic laboratories in 1940. Who knew that the Postal Inspection Service was the first law enforcement agency to purchase the Tommy gun? 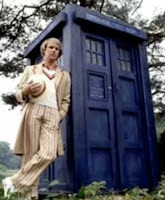 BBC Archive: Dr. Who retrospectives. The BBC Archive offers some fun retrospectives on Dr. Who: one a history of the show from the early 1960s to the present day; another "Before They Were Time Lords," which features some atypical images of the actors before they stepped into the Tardis. 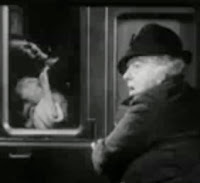 Mystery fans will probably be most interested in the shots of Peter Davison, best known as Margery Allingham's Campion and James Herriot's Tristan Farnon. About the image: Peter Davison, the fifth Doctor, with the only way to travel. Letters of Sylvia Beach published. Just released by Columbia University Press: The Letters of Sylvia Beach, featuring the correspondence of the Baltimore-born proprietor of Paris's expatriate hangout Shakespeare & Co., who is best known for her staunch publishing of James Joyce in the midst of rampant censorship. The press has a clip from an interview with Beach here. MWA Grand Master, Shamus winner, and Nameless Detective creator Bill Pronzini was born today in Petaluma, CA, in 1943. 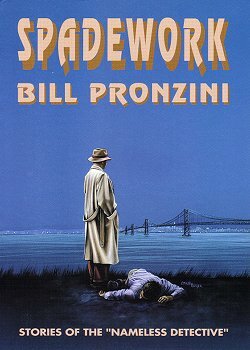 About the image: Spadework, a collection of Nameless Detective stories published by Crippen & Landru. Clues 28.1 published: Chester Himes. Just published is vol. 28, no. 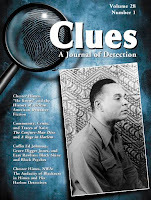 1 of Clues: A Journal of Detection, which is a theme issue on the work of Chester Himes (1909–84) to honor his centenary. Norlisha F. Crawford (University of Wisconsin–Oshkosh) guest edited the issue. Edgar nominee Frankie Y. Bailey (SUNY–Albany) compares Rudolph Fisher's The Conjure-Man Dies (1932) to Himes's A Rage in Harlem (1957); Justin Gifford (University of Nevada–Reno) examines Himes's Run Man Run (1959) in the context of black pulp publishing; Agustin Reyes-Torres (University of Valencia) compares Himes's Coffin Ed Johnson and Grave Digger Jones with Walter Mosley's Easy Rawlins; and Stephen F. Soitos looks at Himes's use of tropes from African American folklore. An exciting aspect of the issue is its reprint of "He Knew," a short story by Himes that has been out of print since 1933 and is his first work that features African American detectives. John Cullen Gruesser (Kean University, NJ) analyzes the story and discusses its place in the history of African American detective fiction. Other essays in the issue compare Boris Akunin with Christie and Collins (Marcia A. Morris, Georgetown University); examine Anne Perry's World War I series (Barbara Korte, University of Freiburg); look at the language used in James Ellroy's Dudley Smith trilogy (Jon Clay, Richmond-on-Thames College); and analyze John le Carre's The Secret Pilgrim, his first novel to deal with the end of the cold war (Jonathan Goodwin, University of Louisiana at Lafayette). Edgar nominee Rita Rippetoe (author of Booze and the Private Eye) also reviews Edgar nominee Jean Murley's The Rise of True Crime: 20th-Century Murder and American Popular Culture. Go here for the table of contents with article abstracts; here for more information about the journal. Powell's celebrates the 40th birthday of the nonprofit Feminist Press, which has long reissued neglected works by female authors and other activist writers, with a sale on some of its titles. On the Feminist Press Web site are milestones in its history, including "2003. Femmes Fatales series. Ten great noir classics of the 30s, 40s, and 50s are launched," including Vera Caspary's Laura (1943; film 1944, dir. Otto Preminger), Dorothy B. Hughes's In a Lonely Place (1947; film 1950, dir. Nicholas Ray), and Evelyn Piper's Bunny Lake Is Missing (1957; film 1965, dir. Otto Preminger. Piper was the pseudonym of Miriam Levant Modell, aka Merriam Modell). At Princeton: "The Author's Portrait." Through July 5 Princeton University's Firestone Library is displaying more than 100 portraits of writers and poets; the few featured online include George Bernard Shaw, Robert Louis Stevenson, Harriet Beecher Stowe, and others. Maltese Falcon discussion at Duke. 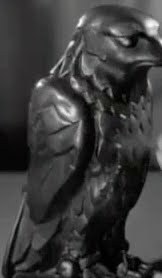 As part of DukeReads, Michael Malone (author and theater professor) and Frank Stasio (host of NPR's The State of Things), discuss Dashiell Hammett's The Maltese Falcon as "quintessential American fiction." About the image: Everybody's talking about the bird. 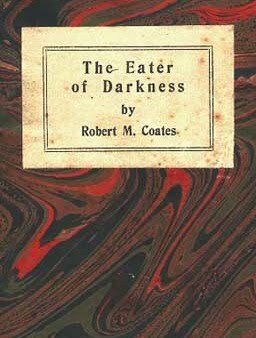 Happy birthday, Robert M. Coates. 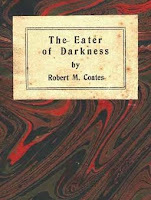 New Yorker contributor and Lost Generation member Robert M. Coates—who also wrote novels including The Eater of Darkness (1926) and the Haycraft-Queen Cornerstone work Wisteria Cottage (1948; filmed as an episode of Suspense, 1950, and Edge of Fury, 1958) and short stories such as "The Law" (1947) and "The Hour after Westerly" (1947)—was born today in New Haven in 1897. He died in 1973. Go here for a letter from Ernest Hemingway objecting to Coates's review of Death in the Afternoon. 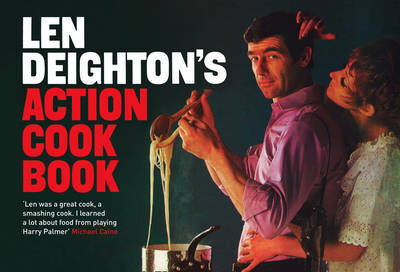 My Georgetown classmate Lucinda Ebersole (coeditor of Mondo Barbie and Mondo James Dean) points out on her blog that spy novelist Len Deighton, who trained as a pastry chef, also published cookbooks and ran a series of "cook-strips" in the Observer. She posts an excerpt on omelettes here. I've run across an anthology on works of medical fiction edited by Nickianne Moody (Liverpool John Moores University) and Julia Hallam (University of Liverpool), including essays such as "Sacrificial Corpses: The Therapeutic Corpses of Agatha Christie" by Clues editorial board member Gill Plain (University of St. Andrews) and "From Coma to Chaos: Notes on the Evolution of the Medical Thriller" by Susan Aldridge. Further details here. Another possible book of interest: The Deadly Dinner Party by Jonathan A. Edlow, an associate professor of medicine at Harvard, who examines some real-life medical mysteries. The Australian Broadcasting Co.'s Book Show interviews the author here. Just out from Snowbooks is Sexton Blake, Crime Fighter, another collection of stories featuring Britain's popular twentieth-century detective. 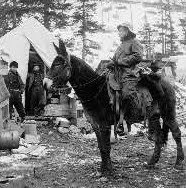 He debuted in 1893; and his adventures were written by a number of authors, including the indefatigable John Creasey. 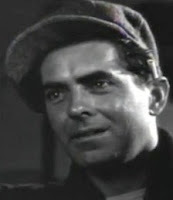 The book follows Snowbooks' earlier Sexton Blake, Detective. The cover refers to the April 18, 1931, Union Jack, in which Blake "tackles the gangs and gunmen of crime-ridden Chicago." Newburyport Festival honors John P. Marquand. Snowbooks issues Sexton Blake, Crime Fighter.